It is modeled in 1:160th or N-Scale-and totally Scratch built. 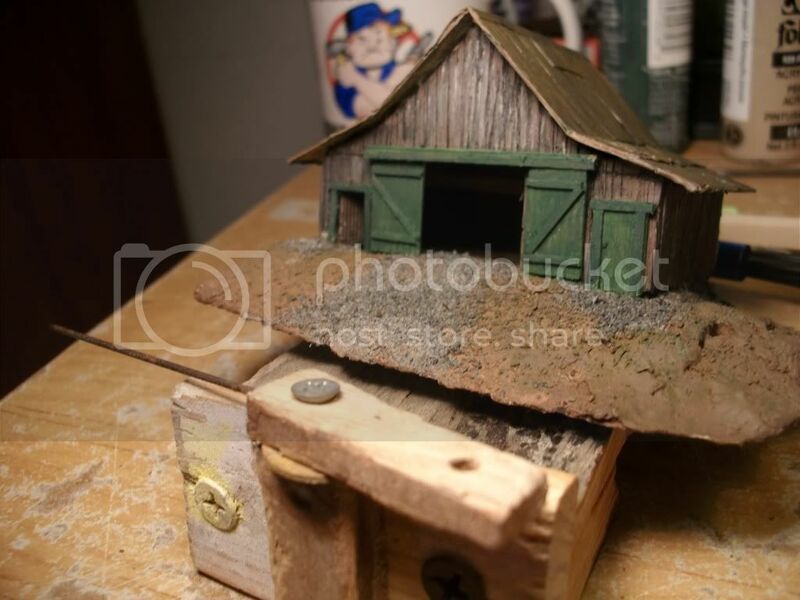 Materials: I used building foam for the base, Balsa wood for the sides, some very thin hardwood for the doors and trim, wood glue, acrylic paint, and crushed stone. I hand carved the balsa wood sides, and the doors and cut the trim and details using an exacta knife, and a sharp pencil . Nice work. I like the added detail in the planking. Thanks Doug, Glad to see you appreciate this post. Here are a few sketches, I'll be building another barn and doing a step by step of how I built the structure. Very cool. I look forward to reading the step-by-step! Thanks for posting! This is definitely a great model... very nice work... looking forward to the next one! Very nice little barn . . . . I removed this post because I had no replys ,and no response. I will be post a new thread , when I finish the new bigger barn .